Whew it’s been a while, and for that I can only say I’m sorry. 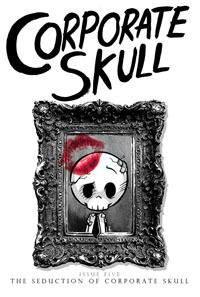 But I’m very pleased to announce Corporate Skull issue 6 will begin on the 5th November! That should give me a few weeks to build up a backlog and be able to possibly do twice-weekly updates (hopefully). Since 5 ended, we’ve moved house (with all the fun that brings) and I’ve been working harder than ever, so to be honest Skull hasn’t entered my mind as much as before. 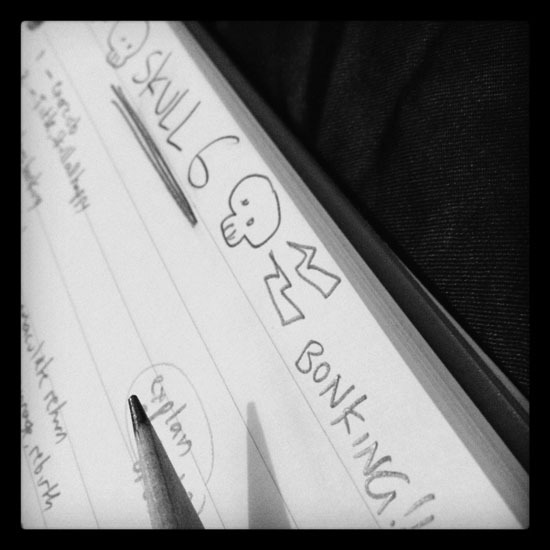 Issue 6 has had a page of notes for it in my Big Skull Sketchbook (it’s where i note down ideas for all the 24 planned issues), but beyond that i just haven’t had the time to think it through in detail. So last week i decided to just go away and think my arse off, to start breaking issue 6 down into some sort of coherent sense. The easiest way I find to do this is to write the numbers 1-25, and write by each number what story/joke needs to be covered on that page. That’s a very basic framework, from there i go in and start writing the pages one by one, knowing how much room i have to play around in. And now I’m back writing him again, I am all fired up and excited to get back into it. I said issue 6 would be crazier than 5. I can say yes, yes it is. Without wanting to give too much away, we will explain one of the big Curb mysteries from book one, and start moving into some unexpected places. Not to mention, Skull getting his end away, the little sod. 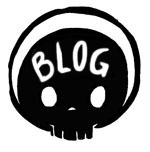 Corporate Skull is daily this week! Corporate Skull goes DAILY this week (at least, until Thursday), as we soar towards the dramatic climax of issue five. And as endings go, this one is rather a doozy i must say. So stick with it and lets see how this monstrous beast crashes!